Αρκετές επιδημιολογικές μελέτες δείχνουν την προστατευτική δράση της υψηλής κατανάλωσης φρούτων και λαχανικών έναντι του κινδύνου για διάφορους τύπους καρκίνου και ιδίως για τον καρκίνο του παχέος εντέρου και του ορθού, του οισοφάγου, του στομάχου και του παγκρέατος. Συνιστάται μειωμένη κατανάλωση ζωικών λιπών και κρέατος και αυξημένη κατανάλωση ψαριών, ελαιόλαδου, λαχανικών, φρούτων και δημητριακών. 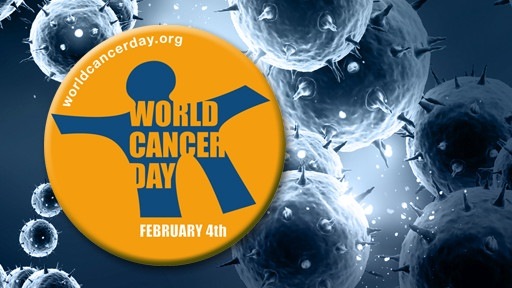 On February 04, 2014 World Cancer Day (WCD) is observed to raise awareness of cancer and to encourage its prevention, detection, and treatment. This health awareness day is led by the Union for International Cancer Control, a global consortium of more than 470 cancer-fighting organizations in over 120 countries. The Day is the one singular initiative under which the entire world can unite together in the fight against the global cancer epidemic. 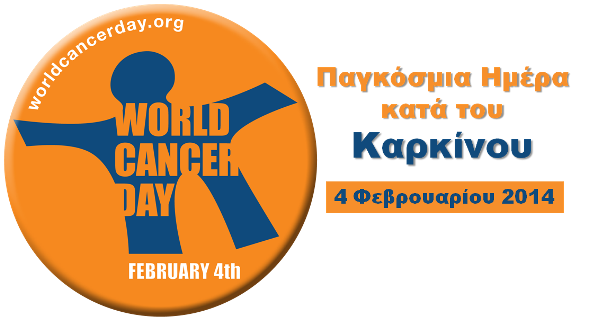 It takes place annualy on 4 February and targets the public through global communications, and encourages policy makers and UICC member organizations to make cancer a political priority. The aims of WCD are to help save millions of preventable deaths each year by raising awareness and education about cancer, and pressing to governments across the world to take action against the disease. The day is a key opportunity for everyone affected by cancer to work together to ensure that world leaders stick to the promises they made at the UN Summit in relation to reducing the impact of cancer. Cancer is a large group of different diseases, all involving unregulated cell growth. In cancer, cells divide and grow uncontrollably, forming malignant tumors, and invade nearby parts of the body. The cancer may also spread to more distant parts of the body through the lymphatic system or bloodstream. Not all tumors are cancerous. Significantly, the number of cancer cases and related deaths worldwide is estimated to double over the next 20 to 40 years. With the greatest increase in low and middle income countries, those least equipped to cope with both the social and economic impact of the disease.